The first few gliders found wave up to 6000′, then the thermals started and all had extended soaring flights. 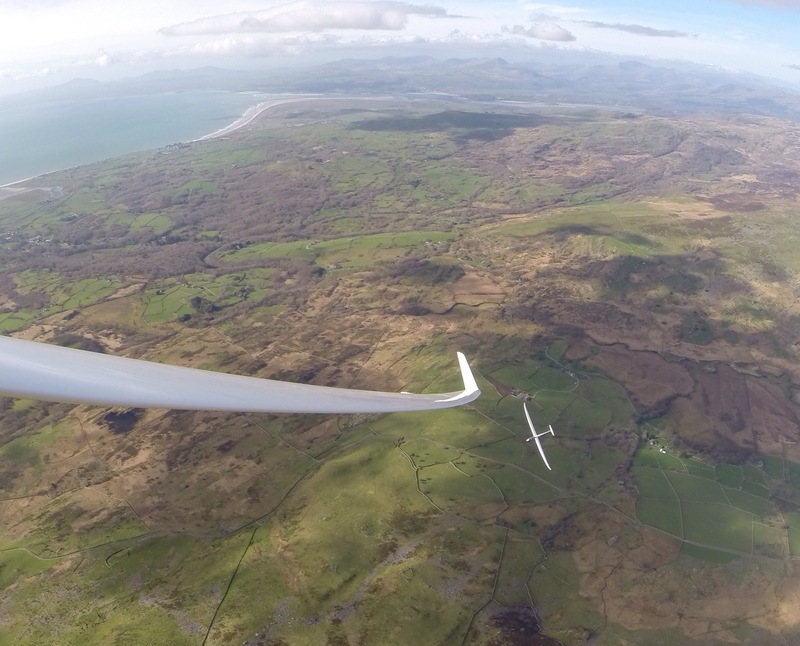 Soaring to top of Cadair Idris was a pleasure in the Northerly wind. Later in the day the local Rhinog Mountains provided thermals and ridge lift.